Our founder Ms Annie Chan is a veteran in the area of event planning and operations - with no less than 20 years of events and related experiences under her belt. Annie started out as an Event Coordinator in a local PR firm handling media and event projects for numerous major clients including the then Community Chest of Singapore, government agencies and corporate clients. In the years which follow, Annie's work scope expanded to include management of advertising campaigns and fund raising projects of which Annie was involved in a 10-month long campaign which raised over S$1 million for a local voluntary welfare organisation. 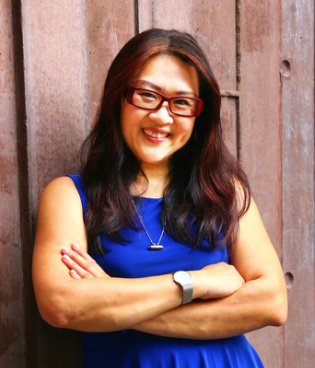 After accumulating about a dozen years of working experiences; in 2003, Annie started Red Box Events Pte Ltd with the aim to provide her clients hassle-free event management support. Many of Annie's clients continue to support her and within 6 months of starting the company, she landed a 2-year contract with the then Social Development Unit to organise events for singles. To date, Annie and her team, still hold the unrivalled record of planning and executing no less than 1,000 singles events in a span of 2 years! As Annie started from scratch, she understands the struggles entry level event practitioners have to go through. Hence in 2007, she joined Republic Polytechnic as an Academic Associate and trained students in the areas of Events Operations and Project Management. Annie was also an adjunct trainer with BCA Academy and SHATEC. Besides training at local polytechnic and educational institutions, Annie (ACTA Certified) also trained adult learners for SACEOS, MACEOS, STB and was also the trainer for the WSQ "Organise A Dating Event" Course. Annie is currently an adjunct lecturer with Kaplan Singapore. Annie is the trainer for all our Event Training Courses (see Our Services). In whatever free time she has; Annie, who is also a certified matchmaker / relationship coach, conducts relationship profiling for singles and coaches them on their relationship matters as well. You can read more about Annie's other passion at www.themadamem.com. @ Copyright 2013. Red Box Events Pte Ltd. Co. Reg. 200301868E.